I have sold a property at 7 3222 IMMEL ST in Abbotsford. Please visit our Open House at 7 3222 IMMEL ST in Abbotsford. PRICED WELL BELOW ASSESSED VALUE !!! Large WILLOW RIDGE TOWN HOME in popular East Abbotsford near good schools and shopping. This is perfect for the Handyman in the family. Needs work but has room for everyone! Lovely small complex with only 12 units in Strata. Excellent floor plan and wet bar in rec room for older kids or relative. Garage fits 1 car but unit comes with 1 extra spot. No Rentals allowed but yes to one small pet. Feels like detached as it's an end unit. Take your time and make this your forever home! SO MUCH VALUE HERE !! OPEN HOUSE SUNDAY March 17 2-4 pm Home is vacant...quick possession possible. BRING YOUR OFFERS !!! PRICED WELL BELOW ASSESSED VALUE !!! Large WILLOW RIDGE TOWN HOME in popular East Abbotsford near good schools and shopping. This is perfect for the Handyman in the family. Needs work but has room for everyone! Lovely small complex with only 12 units in Strata. Excellent floor plan and wet bar in rec room for older kids or relative. Garage fits 1 car but unit comes with 1 extra spot. No Rentals allowed but yes to one small pet. Feels like detached as it's an end unit. Take your time and make this your forever home! SO MUCH VALUE HERE !! OPEN HOUSE SATURDAY MARCH 9, 11-1 PM. Home is vacant...quick possession possible. I have listed a new property at 7 3222 IMMEL ST in Abbotsford. PRICED WELL BELOW ASSESSED VALUE !!! Large WILLOW RIDGE TOWN HOME in popular East Abbotsford near good schools and shopping. This is perfect for the Handyman in the family. Needs work but has room for everyone! Lovely small complex with only 12 units in Strata. Excellent floor plan and wet bar in rec room for older kids or relative. Garage fits 1 car but unit comes with 1 extra spot. No Rentals allowed buy yes to one small pet. Feels like detached as it's an end unit. Take your time and make this your forever home! Open Hose Sunday February 3 from 12-2pm. Please visit our Open House at 70 34250 HAZELWOOD AVE in Abbotsford. Still Creek Family Townhome. This large family home features plenty of space for your growing family or use the ground level basement for your in-laws as it is completely self-contained with a full bathroom, 2 bedrooms and a large Rec room with access to the very private back yard. Upstairs features an open concept large kitchen with eating bar as well as formal dining room with an adjoining deck and stairs also accessing the below patio and back yard. There are 3 nice sized bedrooms on the upper level and two full bathrooms. The master has a large closet for her and maybe even room for him. The home has only had one owner and has been well cared for. Now ready for a new family to enjoy. If you are looking for an affordable large townhome with a full double garage for a workshop or two cars and plenty of room to grow, this is where you should be. Open House: October 20 (Sat) & 21 (Sun) from 2 – 4pm. I have listed a new property at 70 34250 HAZELWOOD AVE in Abbotsford. I have sold a property at 3140 IMMEL ST in Abbotsford. Fantastic family home and great holding property with future development potential! 4 large bedrooms plus an office/den which could be a 5th bedroom. Huge bright kitchen area with stainless steel appliances and tons of cupboard space opens onto a covered deck and private fenced yard. Separate dining room and living room with a cozy gas fireplace and lots of natural light. Master bedroom includes bay window, walk-in closet and ensuite bathroom. Massive rec room in the basement, 4th bedroom, large laundry area, office/den (potentially 5th bdrm) and big storage room. Double car garage, with lots of extra parking on driveway, plenty of room for boat or RV. 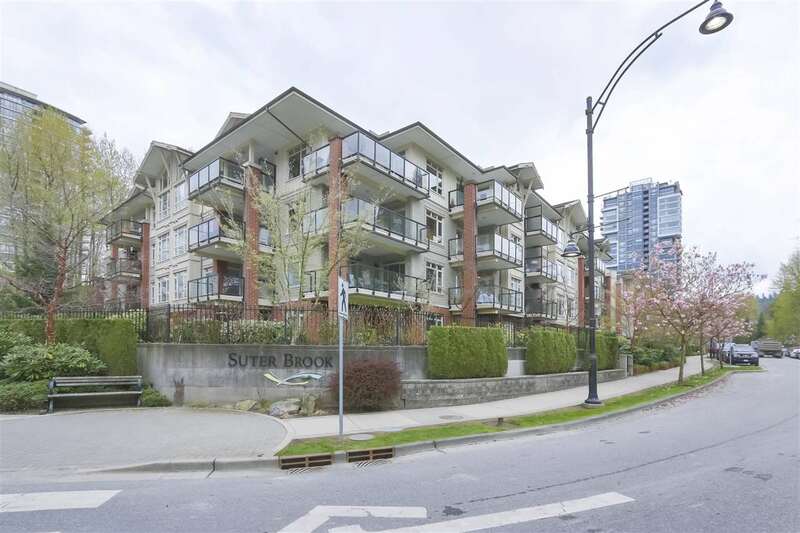 Super central, schools nearby, shopping, rec centre, restaurants and more! Please visit our Open House at 3140 IMMEL ST in Abbotsford. I have listed a new property at 3140 IMMEL ST in Abbotsford. Fantastic family home and great holding property with future development potential! 4 large bedrooms plus an office/den which could be a 5th bedroom. Huge bright kitchen area with stainless steel appliances and tons of cupboard space opens onto a covered deck and private fenced yard. Separate dining room and living room with a cozy gas fireplace and lots of natural light. Master bedroom includes bay window, walk-in closet and ensuite bathroom. Massive rec room in the basement, 4th bedroom, large laundry area, office (potentially 5th bdrm) and big storage room. Double car garage, with lots of extra parking on driveway, plenty of room for boat or RV. Super central, schools nearby, shopping, rec centre, restaurants and more! I have sold a property at 3635 OLD CLAYBURN RD in Abbotsford. Fully renovated home is Sandy Hill/Robert Bateman area. New Vinyl windows and up to date paint scheme are illuminated by the updated lighting. The new flooring really welcomes you into this fantastic home. This kitchen is an entertainers dream, the chef's kitchen, gas stove, stainless steel appliances and high end sink with self closing drawers including pantry and central island. Your fully fenced level backyard is perfect for the kids to play while you BBQ on the patio. Functional Basement hosts 4th bedroom, 3pc bathrooms, Massive recreation room and laundry room. Walking distance to beautiful nature trails, Sandy Hill, Christian and Bateman Schools. Call your realtor to book your private showing now. I have listed a new property at 3635 OLD CLAYBURN RD in Abbotsford. Please visit our Open House at 3635 OLD CLAYBURN RD in Abbotsford. Fully renovated home in Sandy Hill/Robert Bateman area. New Vinyl windows and up to date paint scheme are illuminated by the updated lighting. The new flooring really welcomes you into this fantastic home. This kitchen is an entertainers dream, the chef's kitchen, gas stove, stainless steel appliances and high end sink with self closing drawers including pantry and central island. Your fully fenced level backyard is perfect for the kids to play while you BBQ on the patio. Functional Basement hosts 4th bedroom, 3pc bathroom, Massive recreation room and laundry room. Walking distance to beautiful nature trails, Sandy Hill, Christian and Bateman School. Call to book your private showing now. I have sold a property at 35560 CATHEDRAL CRT in Abbotsford. Please visit our Open House at 35560 CATHEDRAL CRT in Abbotsford. Cathedral Court, a spacious & modern home set on a quiet cul-de-sac, it's the perfect place to call Home. In total, this home offers 6 beds & 4 baths including a 1 bed/1 bath income producing suite w/separate entry, separate laundry and separate HW Tank. Your open concept kitchen, sitting area & dining room overlook the covered deck w/gorgeous views. Unwind at the end of the day in your peaceful family room or front porch. Bonus: double car garage tastefully finished into a "Man Cave", 19 x 19 rec room downstairs & 20 x 20 storage room for all your extras. Outside you'll find plenty of grassy space for the kids and pets to play as well as your own veggie garden. Exceptional value. 1st showing - Open House Feb 13 & 14 (1-3). I have listed a new property at 35560 CATHEDRAL CRT in Abbotsford.